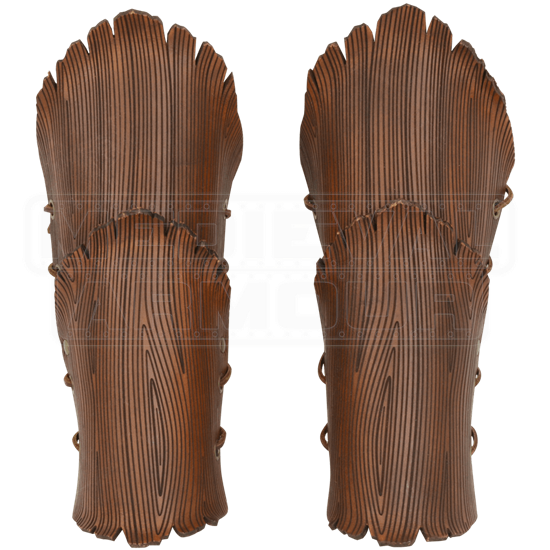 Displaying intricate details inspired by the natural world, these Childrens Woodland Warrior Greaves are perfect for young elves, fairies, and druids participating in light armored combat or attending medieval costumed events. Hand crafted in our shop from 7/8 ounce leather, these inventive greaves are finished with antique brass hardware. The brown leather has been engraved with a woodgrain design, riveted, and molded with shaped edges to resemble layered curling bark. These leather greaves lace together, providing a custom fit for children or smaller framed adults. 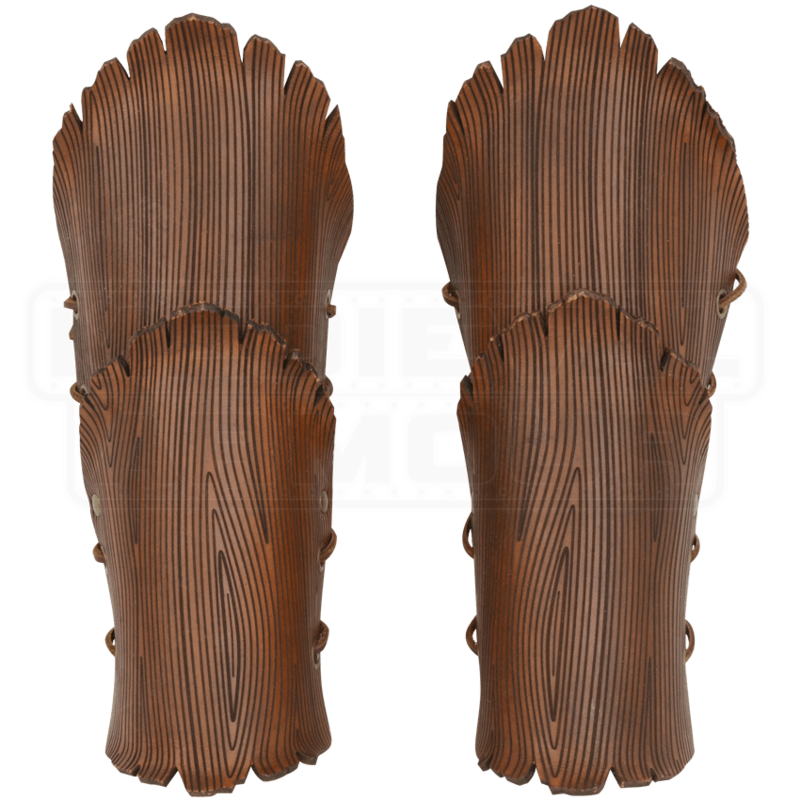 Made from medium weight leather, these Childrens Woodland Warrior Greaves are perfect for LARP events, light reenactment, theater, and costuming.